One method by which to modify the release rate of a drug in the pulmonary tract, is through the use of polymeric systems. There are several natural and synthetic polymers that have been studied in vitro or in vivo in animals to assess pulmonary drug delivery and sustained release. 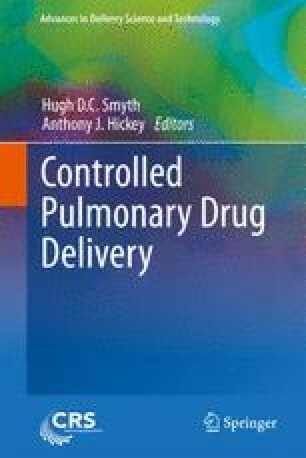 This chapter focuses on some of the more common non-conjugated polymers utilized for inhalation drug delivery and draws examples from an array of pre-clinical findings.